Last week was a busy one here at CSP! Thank you to our event sponsors, to the media who wrote news stories highlighting the issue, and to everyone who raised awareness for suicide and its prevention in any way last week. Here’s a roundup of all our World Suicide Prevention Day activities, which took place throughout the week. Thanks to our sponsors, Arete HR, Zone 3 Business Solutions, Westland Insurance and LivingWorks Education, we were able to offer three free workshops: two safeTALKs and one Suicide to Hope. Pictured, from left: Kahanoff Centre event with Hilda de Boer, Mona Meng, and Miriam Groot; Sweet Relief Cookies at Kahanoff Centre event; Mysterious Barricades event with Mona Meng and Crystal Walker; Lethbridge Family Services event with Robert Olson, CSP and John Thompson, LFS; Bow Valley College event with CSP Trainers Christie Mellan and Liz O’Shea. 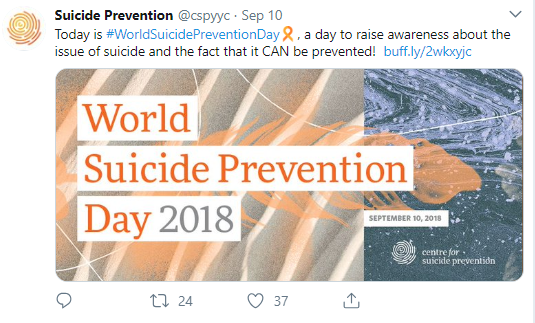 Every year we host an event to raise awareness of suicide and World Suicide Prevention Day at the Kahanoff Centre, where our offices are located. Thank you to Sweet Relief Pasteries for donating cookies to our event, and to the Beltliner for lending us equipment for our coffee service. We attended the pre-taping of the Mysterious Barricades Calgary concert, which is part of a coast-to-coast, dawn-til-dusk concert series for suicide awareness that aired on Saturday, September 15. Robert Olson presented at the Lethbridge Family Services World Suicide Prevention Day event on recovery. Bow Valley College invited us to attend their special presentation for World Suicide Prevention Day, which included a panel of speakers and information booths. 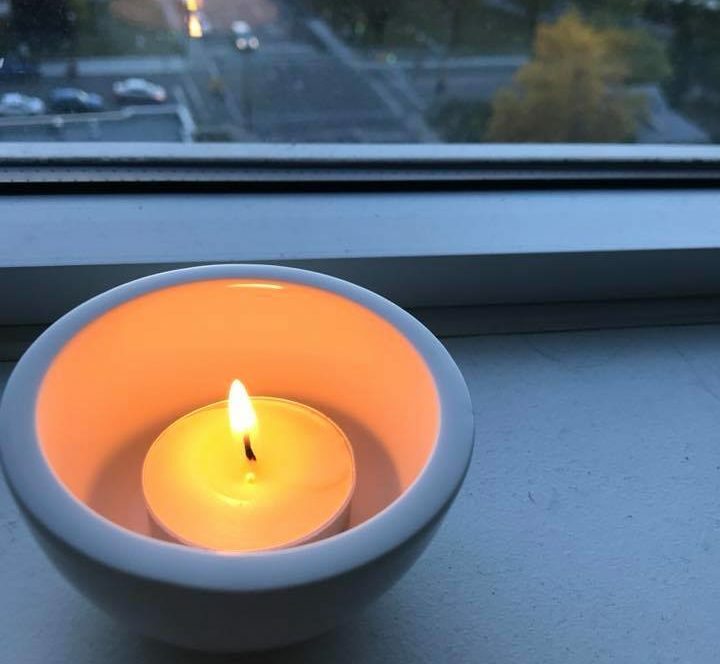 We took part in the International Association for Suicide Prevention’s initiative to remembered those lives lost to suicide, and showing support for those left behind, by lighting a candle by a window at 8 pm on September 10.